Chief Executive Officer (CEO) of the New Amsterdam Hospital Dr Samantha Kennedy remains on the job after junior Health Minister Karen Cummings reportedly intervened in the matter. The intervention came one day after the Regional Democratic Council (RDC) was advised that Dr Kennedy was removed from the post. The issues at the New Amsterdam Hospital were highlighted in several media reports, with residents in Berbice demanding better service from the medical institution. Director of Regional Health Services, Jevaughn Stephen told the media that Dr Kennedy still remains as the CEO of the New Amsterdam Hospital. 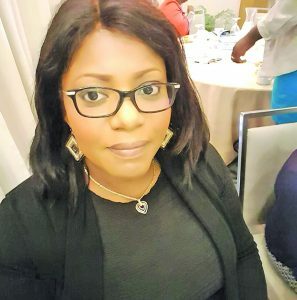 Guyana Times understands that following the embarrassing reports in the media and the RDC announcement that Dr Kennedy was fired, the junior Health Minister, who is Dr Kennedy’s godmother, reportedly sought a less harsh decision. Efforts by this newspaper to contact Cummings proved futile. 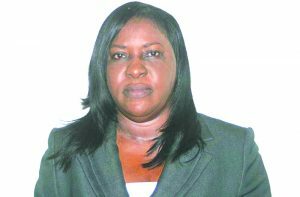 Dr Kennedy went to the hospital on November 5 last year and has been the centre of much controversy as several allegations were levelled against her. The first being that she took six weeks’ leave two days after taking up the appointment. Several regional officials had also reported that it was difficult to meet with the CEO, who also refused to carry out an instruction from the RDC only last week. The CEO also stopped doctors from being on call according to a report coming out of the Region Six RDC on Thursday, which had weakened the Hospital’s capacity to deliver health care. 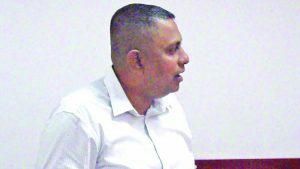 When Regional Health Committee Chairman Zamal Hussain addressed the RDC on Thursday, the Health Services Director was at the RDC meeting. During his press conference on Friday, Stephen was reminded that he was present when Hussain reported that the Hospital will have to get a new CEO. “At the RDC, programme managers are there, but they only respond when the Chairman ask us to respond. I only responded when I was asked to respond, and I only responded to what I was asked to respond to. After the RDC, some members of the media came outside and they asked me and I responded to them about the CEO,” Stephen said at his press conference. However, comments which Stephen gave to the media on Thursday are contrary to his press statement on Friday when he told reporters that the CEO was temporarily appointed until they appoint another one. According to Hussain, they were told that the decision to replace Dr Kennedy was taken because of her negligence. Hussain is of the belief that the public attention that the decision received exposed the incompetence of the Government. This, he said, they are now trying to cover up.